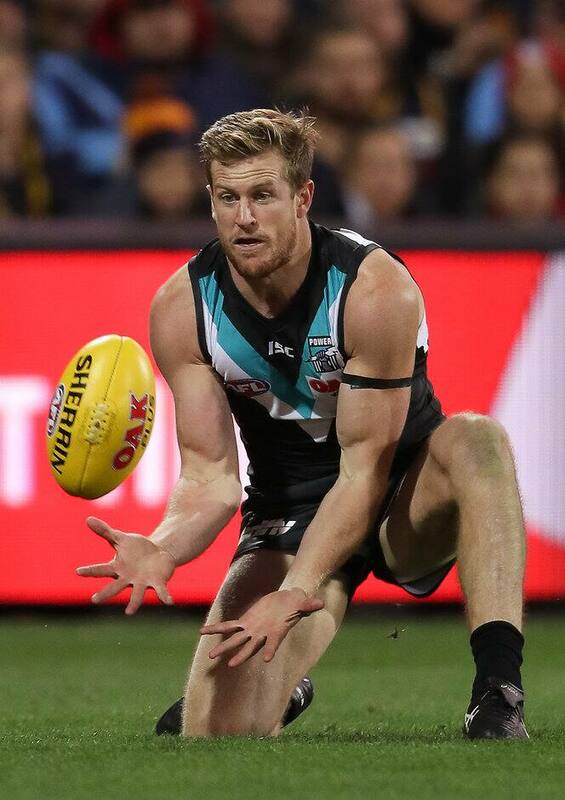 PORT Adelaide defender Tom Jonas says Andrew Gaff's wellbeing needs to be considered in the fallout from the West Coast star's ugly hit on Fremantle youngster Andrew Brayshaw. Jonas has been there himself, having been handed a six-game suspension for striking Gaff in round nine, 2016. Gaff was visibly shaken after the incident with Brayshaw and issued a public apology after the game. The Eagle was banned for eight games after a two-hour Tribunal hearing on Tuesday night. While he was suspended for six games, Jonas missed the rest of the 2016 season because of injury. "Mine kind of turned into a whole-year hiatus because I got injured on the back of it, so it kind of felt like I was suspended for half a year," he said. "I was pretty nervous coming back the following year, after that long out. Whether it's an injury or some other reason, you question whether you can still play the game. "That's where my anxiety lay." What reception Gaff receives when he faces the Dockers next year – whether as an Eagle or with another club – remains to be seen. Jonas said he didn't cop any special treatment when he played against the Eagles in round seven last year. "I wasn't sure how I'd be received, but I think they were all reasonably understanding," he said. "They might hold a grudge, I'm not sure, but we're all big boys and things happen in life and in football and you move on from them." The Power face the Eagles at Adelaide Oval on Saturday. Key defender Dougal Howard is a chance to return for the Power after missing the past two games with a hand injury. "Dougal has an injury similar to what I had last year," Jonas said. "It's one of those things where you can't really train unless you get a jab in your hand to take away the pain a little bit. "As long as he's fit and running and the rest of his body's all right, he might be able to sort it out on the weekend and be right to go."